This rectangular folding bench unit is simplistic and contemporary in design and is ideal for use in schools. The sleek finish brings a sophisticated look to school dining halls, cafeterias and canteens. The mobile bench unit comes in a choice of different sizes and colours to best suit the corporate image of your school. Choose from a choice of 2 heights - 685mm recommended for primary use and 735mm recommended for secondary school use. Fully conforms to BS EN 1729 subsequently providing appropriate posture and ergonomic comfort for pupils. The table and bench tops are manufactured using MDF with a waterproof laminate finish and ultra-tuff edging for easy cleaning and improved hygiene. Table tops and benches are available in 3 colour options – maple, blue (speckled blue/grey) and grey. Bench units can seat between 12-16 pupils depending on age and each seat has a maximum load bearing weight of 450kg when evenly spread. Not only can does this unit have a stow-away locking position, but it also comes with 2 additional locking positions. 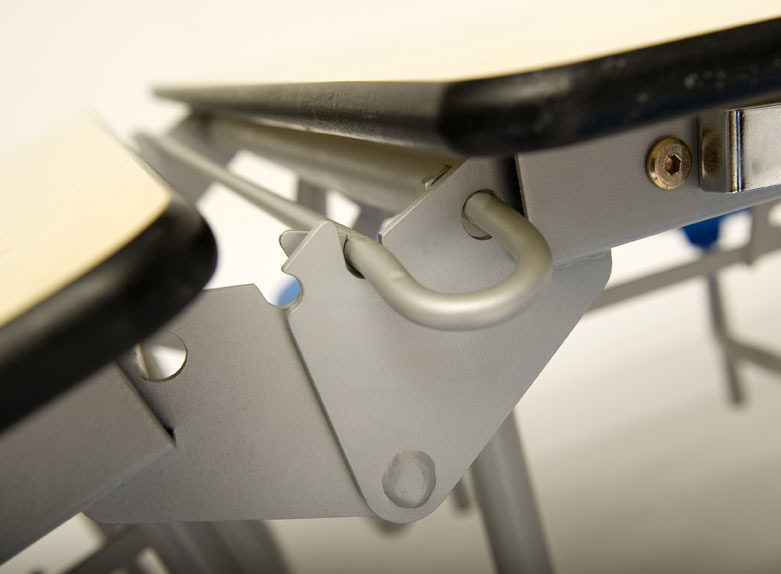 The open position safety lock ensures that the table and bench unit does not automatically return to the folding position. The easy-clean intermediate locking position aids the cleaning of the table tops and provides for easy access to the floor beneath the table, both helping for improved hygiene. 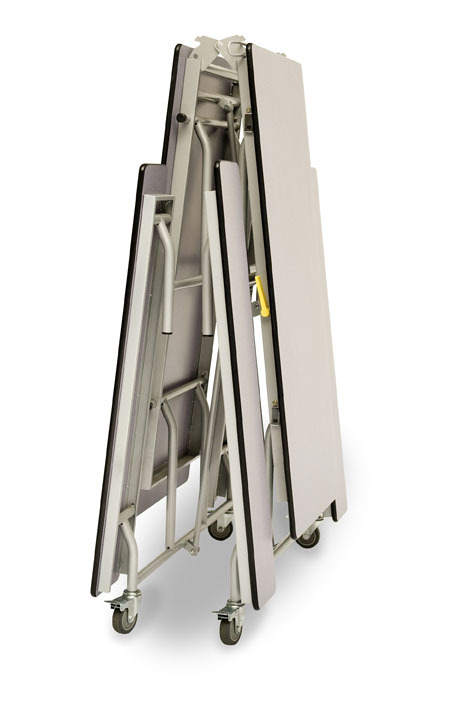 When folded, this rectangular folding table can fit through any standard height doorway (1980mm) meaning there is no need to tilt tables when transporting between rooms. 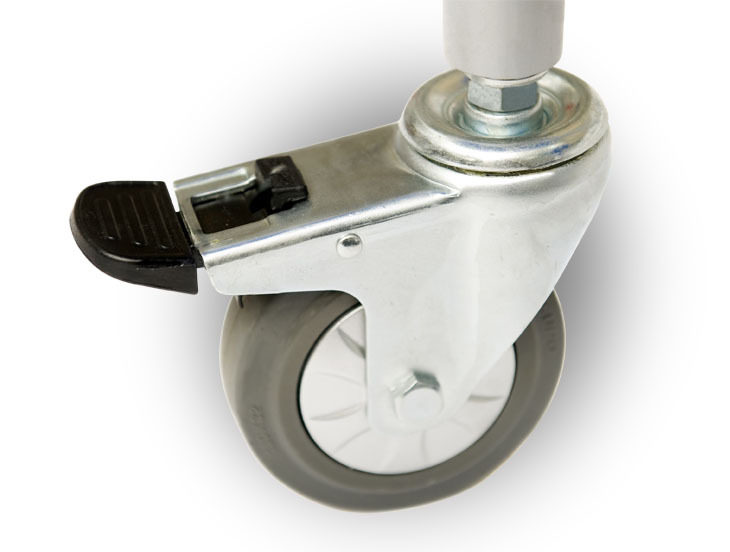 The 4 easy-glide castor wheels also help with transportation and storage of the unit. 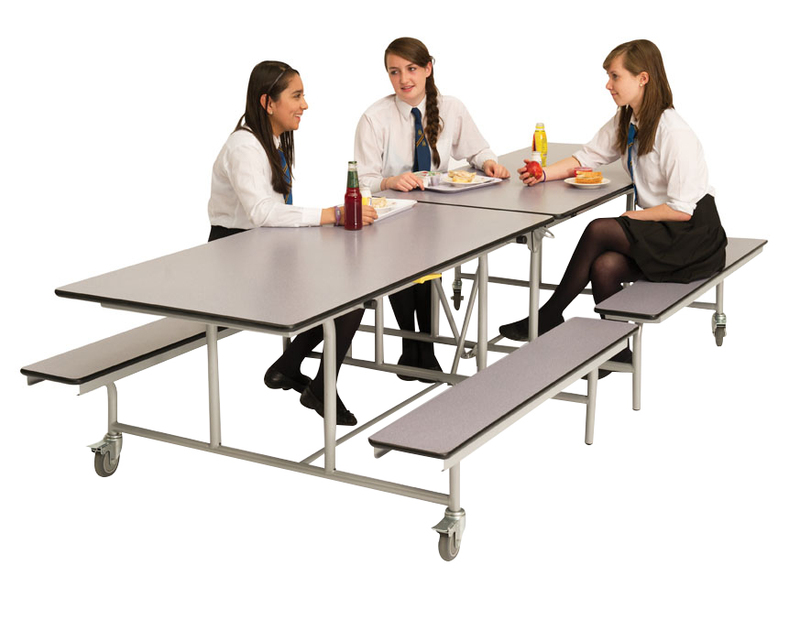 This makes for easy conversion of school halls into multi-use dining areas, without any heavy lifting. 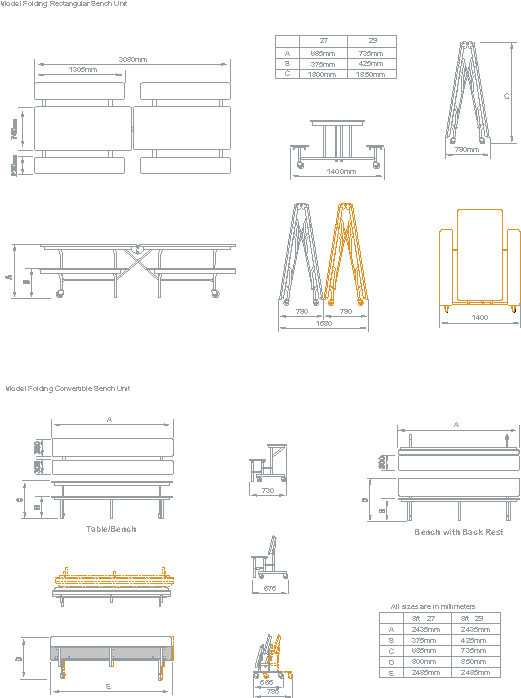 Our mobile dining tables are all fully tested and certified by FIRA. This certification deems the tables to be structurally suitable and sufficiently stable for educational use. We offer a FREE 3D space planning service which creates bespoke solutions and space plans for canteens, school dining rooms and cafeterias. The other service which we offer is a FREE site survey which will assess your needs to generate the best solution for positioning, style and quantity of dining furniture – contact us for more information on 01733511121.